The Secure Technology Alliance communicates to members through a variety of platforms on a continual basis. The Alliance publishes newsletters and bulletins throughout the year that provide up-to-date news, industry announcements and other information relevant to members and friends. “Training and Certification News” is a quarterly publication for members of the Secure Technology Alliance Leadership, Education and Advancement Program (LEAP) and CSCIP and CSEIP recipients. LEAP is an online, members-only organization for smart card professionals that advances education and professional development. The CSCIP and CSEIP programs are Secure Technology Alliance training and certification programs for industry professionals. We encourage you to visit the dedicated LEAP, CSCIP and CSEIP sections of our website for news and updates. In December the Secure Technology Alliance publishes a comprehensive, full-color publication capturing the essence of a year’s worth of leadership in education and support of the smart card industry. 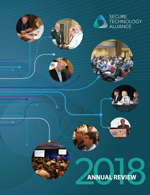 Available both electronically and as a printed publication, the Annual Review summarize the programs, products and services offered by the Alliance and its members. 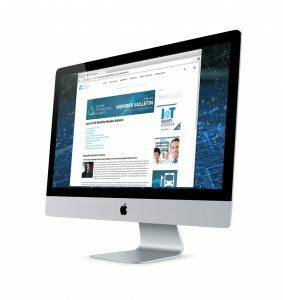 Each day, the Secure Technology Alliance provides a round-up of published news articles written about all aspects of smart card technology, broken down by specific categories such as Mobile and NFC, Healthcare, Identity and Security, and Payments. This complimentary news service is a members-only benefit; if you are a Secure Technology Alliance member and do not receive this newsletter, please email us to be added to the mailing list.